We're a full service North Carolina Calendar Printing Company that will help you choose the best printing method, stocks and finishing options for your project. We print so many calendars in our 18,000 square ft. facility that copy shops, office supply stores and even mega-internet based companies can't compete with our prices. 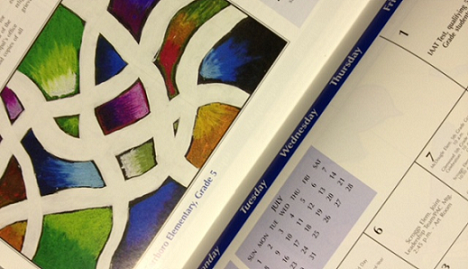 We've been the #1 Calendar printing service in Durham, Raleigh, Cary, Chapel Hill and beyond since 1979. Our standard paper stocks are eco-friendly, and we take pride in having the fastest turnaround times in the business. Have us tailor a quote that meets your budget and needs, no matter how big the job is. We offer only the best calendar printing methods and services that will make your job stand out and exude quality. Calendars are a cost effective and powerful way to promote your brand year round, so have us help you get started on a project today. Just give us a call at 919-361-5809, request a free estimate online, or stop by and speak with a printing specialist today! The Calendars are beautiful! Be sure to thank the art department for a job well done.